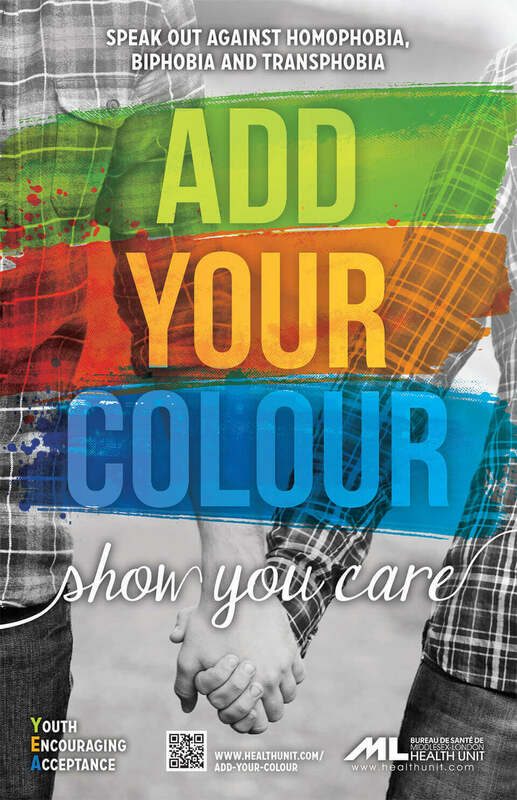 The Middlesex-London Health Unit asked for a creative design solution to promote a Lesbian, Gay, Transgender, Bisexual and Queer (LGTBQ) awareness event for the group “Youth Encouraging Acceptance”. The print campaign required a modern high school look and feel that would appeal to teenagers, but not be too edgy. The television ads were to promote the event while speaking directly to isolated youth.